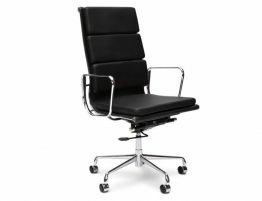 Our Iconic Soft Pad Executive chair in Genuine Leather is perfect for your home, office or board room. 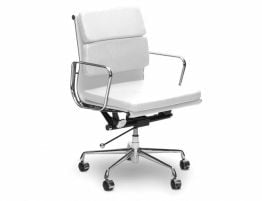 Its ergonomic design combines comfort with style and sophistication. 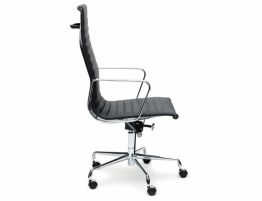 This chair features a low back, swivel base and smooth rolling casters that are ideal for optimum flexibility when working from home or in the office. They are a corrected grain leather, made from solid cowhides. 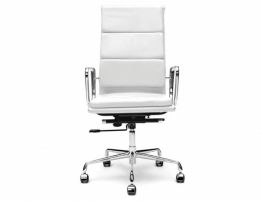 No bonded leather means very strong and durable quality. Corrected grain means that the cowhide may have had some scars, tick bites etc during the life of the animal and when the hide is tanned, they fill in or buff out any of the imperfections to give the finished product a uniform look. 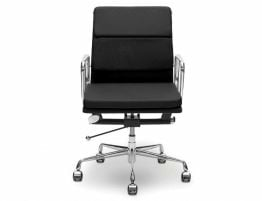 Our Iconic Soft Pad High Back soft upholstered leather office chair is finished to the very highest standards in a lovely leather choice. 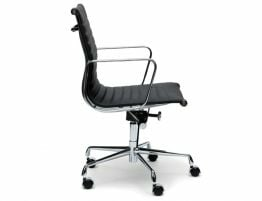 This office chair is so comfortable and an ideal piece for the ultimate office study zone or work office. 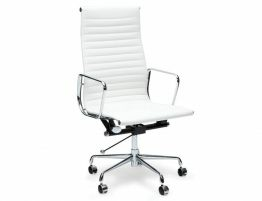 Here at Relax House we aim to provide you with the right look & design wise to satisfy your need for design and style.